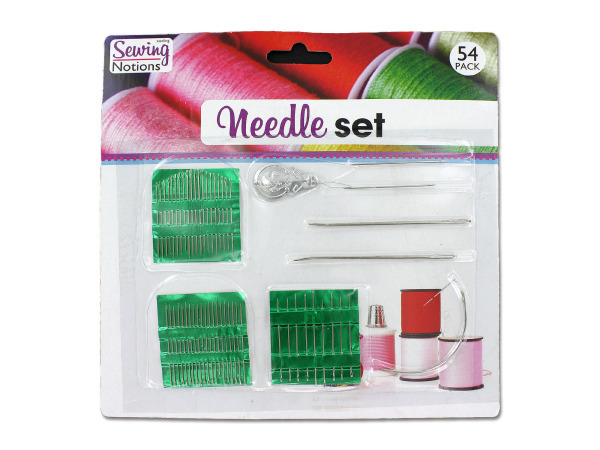 Great for beginners to professionals, this 54-piece Sewing Needle Set comes with needles for every sewing project imaginable. Set includes: 40 regular needles, 9 threading needles, 1 curved needle, 4 large sized needles and 1 threader. Comes packaged in a blister pack.